Do you ever wonder what an event will “look” like before engaging a firm to produce yours? Of course you do. As you visit us here are you wondering what a Klover Event looks like? Certainly you are. Static images are wonderful. You’ll find a few in our portfolio.We’ve produced a short film that helps to better capture the experience while working with one of our lovely clients, Child Care Aware of America, on their April Public Policy Symposium in Washington, D.C.
After many months of planning for a given event, as a company we work hard to execute a program for our clients that serves them well with their specific audience. What does that look like? Check it out below! Klover Events: What a Klover Event Looks Like from Klover Events on Vimeo. Are you looking for planners who work hard to produce events that exemplify your vision and engage your audience, clients and/or guests? 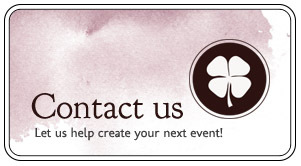 Contact us today to chat about how we can collaborate to plan your conference, fundraiser, wedding, gala and more! I was pleased to have been the featured performer for the most heralded summer concert series in Baltimore, The Jazz in the Sculpture Garden series. I had the pleasure of working under the direction of members of the Klover Events team as they produced the series to rave reviews by capacity crowds. Executing such flawless concerts, while overseeing photographers, box offices, food and beverage services, fielding press & sponsor needs and more, can only be done well by organized, insightful and responsive event professionals. I tip my hat to this maverick full-service events firm.